Western Canada miner wants new copper property in B.C. 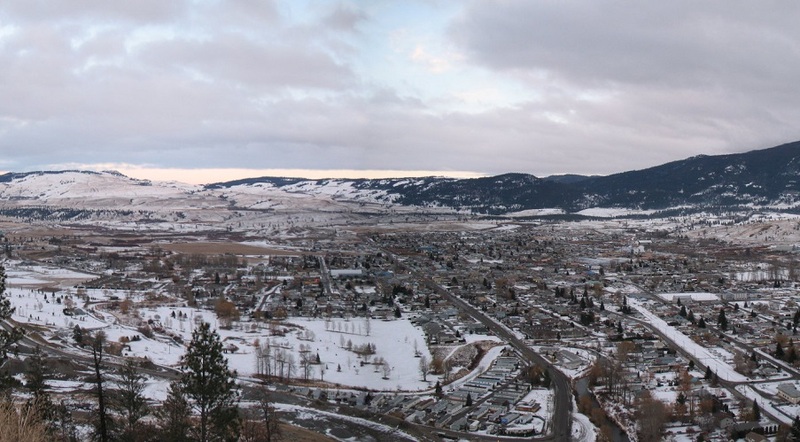 Panorama of Merritt, BC, during the winter. Photo by Mascdman, Wikimedia Commons. Pacific Ridge Exploration (TSXV: PEX) announced today that it is planning to buy the Spius porphyry copper project, located 40 kilometres southwest of Merritt, British Columbia. In a press release, the Vancouver-based miner whose assets span from Yukon to B.C., said that the Spius property was explored for its porphyry potential in the 1960’s and early 1970’s. However, most of the records from that early exploration work have been lost, including drill logs. “Exploration in the past few years has included prospecting and soil sampling. The soil sampling has defined an anomalous zone, outside the area of the previous drilling, of approximately 500 metres by 1,000 metres, with copper values ranging from 500 to 5,320 ppm, open to the south. Two recently collected float samples of porphyry style mineralization with disseminated chalcopyrite and bornite assayed 2.53% Cu and 1.43% Cu,” the media statement explains. Once it acquires the property, Pacific Ridge says it plans an IP survey to update and expand the earlier survey, additional soil sampling and geological mapping. The results of such work would be used to define targets for a drill program. “This is an extremely strong copper soil anomaly which, combined with the recently discovered high grade float samples and the size of the historic IP anomaly, suggests the potential for discovery of a significant porphyry deposit at Spius,” the company’s CEO and President, Gerry Carlson, said in the brief. The terms of the agreement allow Pacific Ridge to earn a 100% interest in the Spius property by making payments of $210,000, issuing 1,000,000 shares and completing $800,000 in exploration by December 31, 2020.